Colton Swan enjoyed working in a stable Weber State program under coach Jay Hill for the past five seasons, but his strongest credentials might be how one Wildcat coach after another kept him on the staff. Having worked for five head coaches in Ogden over 15 seasons, the former Weber State linebacker was hired Monday to coach Utah's linebackers. Swan, 38, replaces Justin Ena, who became Utah State’s defensive coordinator in December. Ena also had come from Hill’s Weber State staff, arriving at Utah in 2015. Sione Po’uha joined the staff in December as a defensive line coach after Gary Andersen returned to USU as head coach, shortly before offensive coordinator Troy Taylor moved to Sacramento State as head coach. Ute coach Kyle Whittingham’s hiring of Swan and Po’uha leaves him with one vacancy, the offensive coordinator position — although that hiring could lead to other moves. Weber State won the Big Sky Conference championship and reached the FCS quarterfinals each of the past two seasons. Swan coached the Wildcats' inside linebackers and was WSU’s special teams coordinator in 2017 and 2018. Whittingham said last week that the new defensive coach might work with the safeties, with defensive coordinator Morgan Scalley presumably moving to linebackers. But he made Swan the direct replacement for Ena. Swan is “a great teacher, tough as nails, and is all about the players!” Scalley said in a tweet. Utah’s primary defensive scheme uses two linebackers. The Utes will lose senior starters Chase Hansen and Cody Barton, but have Francis Bernard and Penn State transfer Manny Bowen as likely replacements in 2019. After working for two years as a Weber State graduate assistant for coach Jerry Graybeal, Swan became a full-time coach in 2006 under Ron McBride. Swan’s Weber State coaching career resembles Hill’s Utah tenure. He worked on offense, defense and special teams at the school where he played. 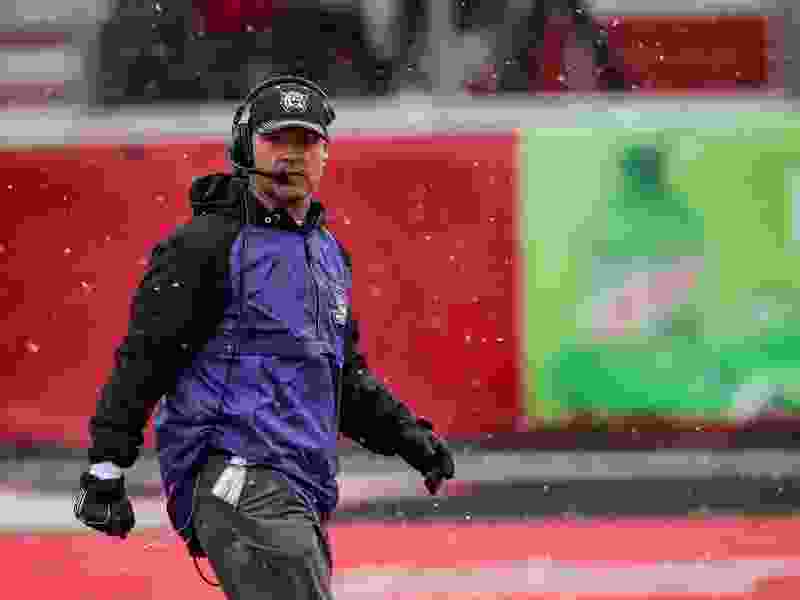 In a Salt Lake Tribune interview in August, before the Wildcats opened the season with a 41-10 loss at Utah, Swan explained Weber State’s rise under Hill. An Idaho native, Swan came to Weber State as a rodeo competitor and walked on to the football program and became an All-Big Sky second-team linebacker. Help us to welcome LB Coach Colton Swan to the #UtahFootballFamily!